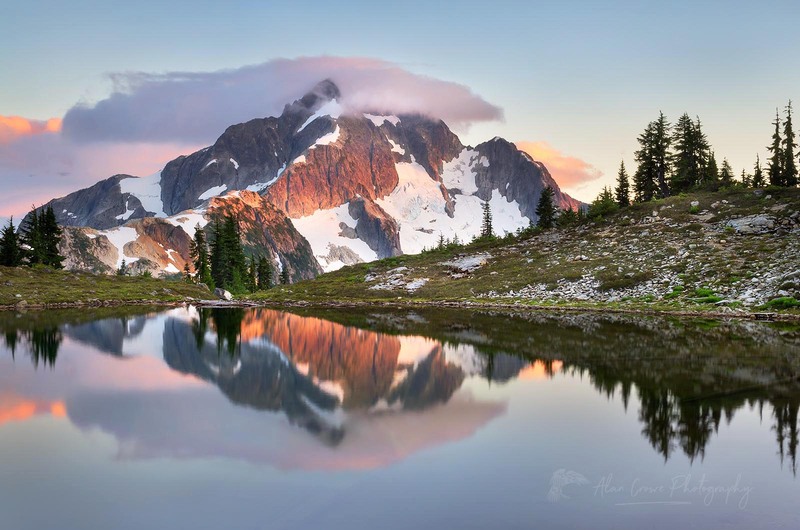 Recently while filling an order for a client I came across a couple of images of Whatcom Peak North Cascades National Park in my archive that caught my attention. Both photos are from last year’s trip to Whatcom Pass in North Cascades National Park. Both are also good examples of what may be called pre-visualization and post-visualization. Pre-visualization is being able to view a subject in the field and visualize how it may appear in its final form. Post-visualization, my own term, is fulfilling the vision during processing. Many times I have images in my files that haunt me in a way. Meaning I remember the pre-visualization, but I’m not seeing the processing solution to make it appear. However they keep catching my eye, beckoning me to keep trying. In the field both of these images struck me as having all the elements of a compelling photograph. I also new at the time how they should appear in a final print. However, after initial processing and editing none of that pre-visualization came out. As a result I assigned them a lower ranking in the archive. Achieving the solution is sometimes only technical in nature. Other times it’s of a creative nature, or of course a combination of both. In this instance it’s the latter. Although I’m quite happy with the results you see here, it’s possible I’m still short of the original vision. In the future I may rethink the processing. Maybe they need just a tweak, or maybe something completely different. It’s all part of the creative journey. 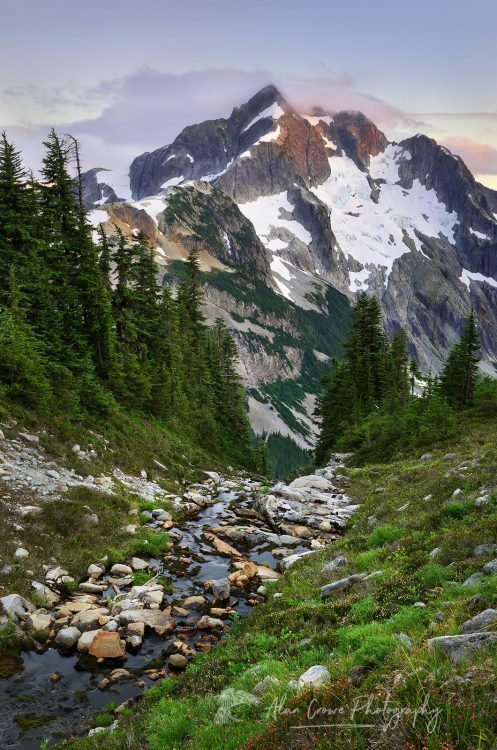 To see more images from this trip read my two part blog, Whatcom Pass Tapto Lakes, North Cascades National Park. All images are available as fine art prints, or for stock licensing. Feel free to comment on this post and share it with friends and colleagues. Thanks for visiting!